Astral Projection – it’s a Thing! When summer is just getting started many varieties of berries begin to bear ripe fruit. This recipe is a long-time favorite with a little bit of a touch of liquor! Now it’s time to figure out where you can get the booze you’re going to need to make this extra special. Most liquor store (probably not grocery though), will carry Black Berry brandy, you can look up on the internet. 6 cups of fresh berries – you can use all the same type or mix it up! 1/8 cup Blackberry Brandy (up to ¼ cup to taste) Most boutique liquor stores carry this. Make sure you buy more than one bottle because you’re going to LOVE IT! Note: if you add more alcohol increase the cornstarch and tapioca each by 1/2 teaspoon to handle the extra liquid. Mix all ingredients except fresh berries. After gently mixing the liquor with all the other ingredients add in the berries and toss. Pour into pie dough in a 9-inch pan, add top crust. Make sure there are several small holes or slits to let the steam out. Finally, bake at 350 F (180 C) for 50 to 60 minutes. Remove from the oven and do the hardest part….Let cool at least 2 hours before serving. Liquor is good for this part as well. 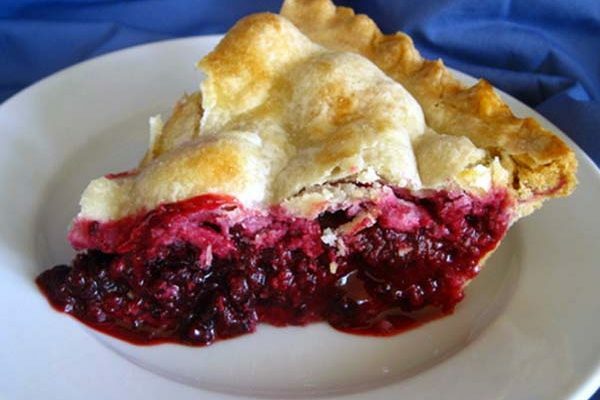 Lastly serve with a nice Brandy, Berry Wine or Red Wine for a dessert to remember. Shop Now! GhostBed Mattress For As Low As $65/month For A Limited Time. Only At GhostBed.com. HalloweenExpress.com - The absolute largest selection of Halloween costumes and costume accessories available anywhere. HalloweenExpress.com - The absolute largest selection of Halloween costumes and costume accessories available anywhere.